The nightclub industry is one of the most lucrative in the nation. In fact, nightclubs raked in $26 billion last year according to the U.S. Bar & Nightclub Industry. With such high financial gains to be made, you’d better believe business owners in Arizona are cashing in. Of course, revenue isn’t everything. 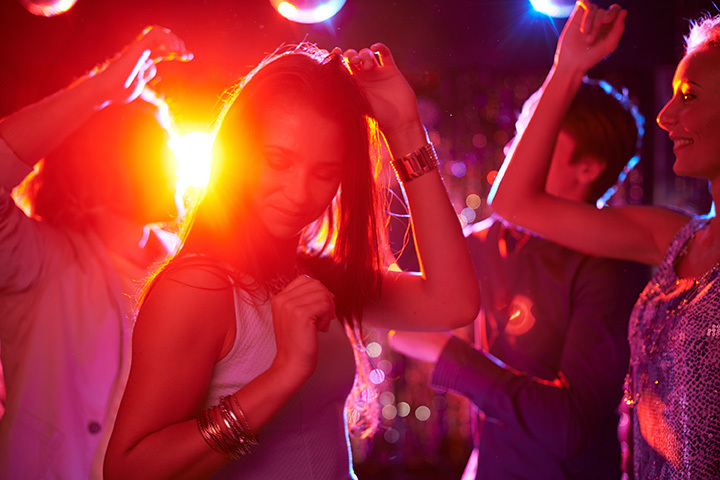 Dance floor, atmosphere, price and music are just a few of the factors that make partygoers pine for their favorite nightclub. With that said, Arizona has several clubs that have distinguished themselves from the crowd. Here are some of the hottest clubs in Arizona to party the night away. Clubbers are often faced with the difficult decision of choosing between seeing a live band or DJ. Not at Wasted Grain. This Old Town Scottsdale bar and dance club has two major dance areas. On the first floor, patrons can seek refuge from the Old Town glitz by hanging out at the main stage. There’s live music on the weekends with bands covering everything from 80s classics to modern rock. On the second floor is 100 Proof Lounge–a fully decked out EDM club complete with DJ’s, bottle service and VIP tables. Wasted Grain also features outdoor patios and open areas—a perfect place to have a drink and reenergize for the dance floor. This large-scale day and nightclub makes Old Town seem like an extension of the Las Vegas strip. This club has light shows, dancers swinging from the rafters, and even an outdoor pool. Yes, that means pool parties. During the day, the pool is the epicenter of all-out pool parties heavy on music and drinks. At night, the dance floor comes alive with music from some of the world’s best DJ’s. Another similarity to Vegas is the dress code and nightly cover charge. The Mint Ultra Lounge may have the best dance floor in the Valley. The 7,000-square-foot dance club is consistently packed to the brim with people dancing to everything from EDM, hip-hop, house and pop music. In addition to the eclectic music selection, the Mint is regarded as having one of the best atmospheres in Old Town. The elegant décor and sleek design make this club worth the price of admission. The Mint also includes a luxurious 30-foot bar, 4,500 square foot patio, custom LED lights and a champagne bar. Cover charge and dress code are enforced. GypsyBar has the advantage of being one of the biggest dance clubs in the Valley. At over 10,000-square-feet, there is adequate room to show off your greatest dance moves. Go-go dancers, confetti cannons, and a state of the art DJ booth surround the ethereal dance floor. Specialized cocktails are served at the three-sided island bar. Located in downtown Phoenix’s Cityscape development, GypsyBar attracts a young and energetic crowd. Many of them take a break from dancing to play one of the 40 arcade games featured in GypsyBar’s game lounge. Playground Bar and Grill has been instrumental in revitalizing downtown Tucson’s nightlife scene. Located on Congress street, this modern bar and lounge is filled with thirsty college kids as well as an older crowd looking to unwind after work. Comfortable sofas and fire pits surround the large dance floor. Whether it’s a weekend night or weekday happy hour, Playground always has an electric atmosphere and inviting hospitality. Don’t forget to check out the rooftop patio. It has an additional dance floor and some of the best views in Tucson. Monarch Theatre has been constantly improving since opening in 2012. Renovations have improved the dance floor, concert stage and speaker system. Now, it’s home to some of the best live shows in downtown Phoenix. The venue is known to play heavy bass and deep house in addition to attracting world class DJ’s. The state of the art lighting systems contribute to the all around experience and help keep patrons on the dance floor. Though not the largest venue, Monarch has an upstairs lounge and dance area that’s more relaxed and helps limit crowding. Lil’ Wayne. The Chainsmokers. Snoop Dogg. In the two years since its grand opening, Livewire has had some impressive headliners. This Old Town concert venue has hosted some of the biggest names in music as well as local and up-and-coming musicians. Livewire’s state-of-the art sound and lighting fixtures are a crowd favorite and create an unparalleled dance club experience. This two-story dance club has an open concept and a 25-foot HD video wall. Though it fits over 1,000 people, guests will always have an unobstructed view of the performers and dance floor. Ride the elevator to the 14th floor of Scottsdale’s Talking Stick Resort for entry to the iconic Degree 270. Talking Stick is renowned as being one of the most elegant spots in the Valley–and its dance club follows suit. Every weekend, guests crowd the bar and lounge area while listening to some of the best DJs in town. With an array of performers and an upscale environment, Degree 270 attracts an older and more established crowd. The dance club has premium bottle selections and VIP service for high rollers. The most memorable aspect of Degree 270 is its unparalleled views of Scottsdale and its landmark Camelback Mountain. The Wild Horse Pass Hotel and Casino is a popular destination for Chandler and south Phoenix residents. Chrome, their new nightclub, ensures that these residents don’t need to travel to Scottsdale or Phoenix for entertainment. Chrome is a trendy nightclub filled with a spacious dance floor and areas for lounging. Guests usually start their night by attending one of the many shows performed at Ovations Showroom followed by a late-night visit to Chrome for dancing and drinks. Though the club is only open on weekends, Friday is ladies’ night and usually attracts a packed house. Dakota is right in the heart of Old Town Scottsdale. Dakota has the right mix of atmosphere, music, and crowd to make this list. The 4,500-square-foot venue features a large four-sided bar that sprawls from the dance floor to the outdoor patio. Dakota has live DJs, couches, fire pits, and several flat screens playing music videos throughout the night. It has the Old Town location without its bourgeoisie vibe and is open seven nights per week. View more Arizona Dance Clubs.